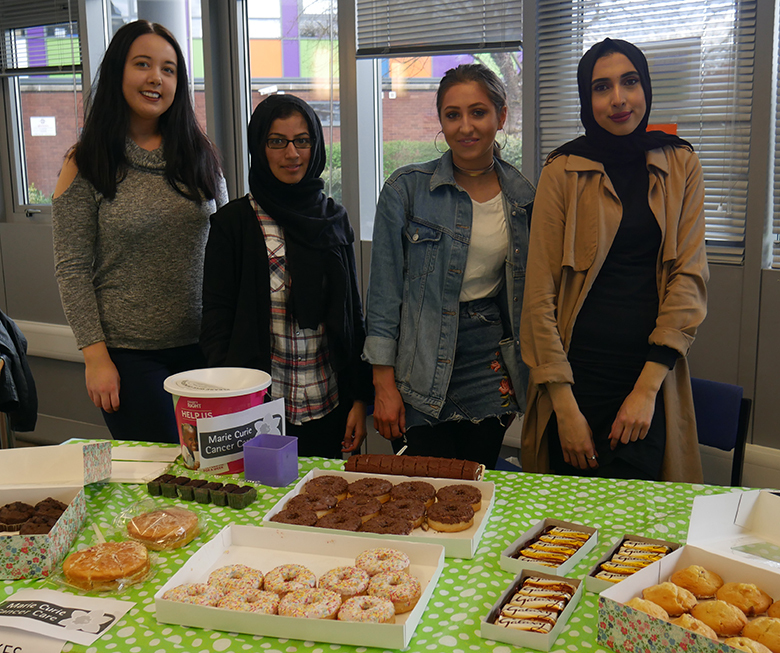 Business students at The Sixth Form College, Solihull have been raising money for charity and being assessed on their event planning skills. BTEC Business students organise charitable events in small groups every year as part of their course and this year they have raised £295.06 for a range of charities, including Marie Curie, Cancer Research UK, the NSPCC, Oxfam, Mental Health Awareness and McMillian. For these charitable events, the students had to make all arrangements, promote their event and run it, but they had free rein to choose what the event would be and could be as creative as they liked. Their ideas included a raffle, various cake sales, a car wash, a gaming tournament, a cinema screening, selling popcorn and candyfloss in the refectory and a tuck shop. Students also raised money with competitions for ‘Guess the number’ and ‘Guess how many sweets are in the jar’. These events were part of the Events Management unit of the BTEC Extended Diploma course. Among the other areas of student on this course are Business Resources, Marketing, Communication, Accounting, Retailing, Marketing Research, Human Resources, Contract and Business Law, Civil Liability and Business Ethics. Completion of this two-year course, which is the equivalent of studying three A levels, will prepare students to progress onto university, advanced apprenticeship or direct employment.